Statista shows, by the year 2020 mobile apps are set to generate $188.9 billion USD in global revenues via app stores and in-app advertising. It clearly implies huge opportunities for businesses & high time, to begin with utilizing Mobile app market. On the contrary, users see ‘n’ number of apps on their smartphones. Creating an app which would please your target audience is a great challenge. Isn’t it? Let’s see how we can make it little easier with React Native app development in this read. Pros: Convenience because users can use your app by opening up a URL in their browser rather than downloading from the app store. Also, you write one set of code for iPhones, Android phones, and web. Initially Hybrid or mobile web apps were popular for their uniqueness. But, their performance tends to go down for more complicated apps. Thus React Native came into the picture to break the ice! Apps built through React Native are compiled into natively written code. It clearly implies they not only work on both operating systems but also have the same functionality as that of native. React Native was invented for iOS development, but due to its popularity & success over the period, Facebook decided to develop the support for Android as well. And now it’s possible to develop an app on both the platforms viz. Android & iOS through single codebase. This is how it reduces development cost too. This is the key feature of React Native. Building blocks are considered as native components which can be compiled into native languages of Java for Android & Objective-C for iOS. This leads to faster development, time-saving. So, everyone prefers to React Native mobile apps for its excellent performance, easy maintenance. How will it going to help you then? 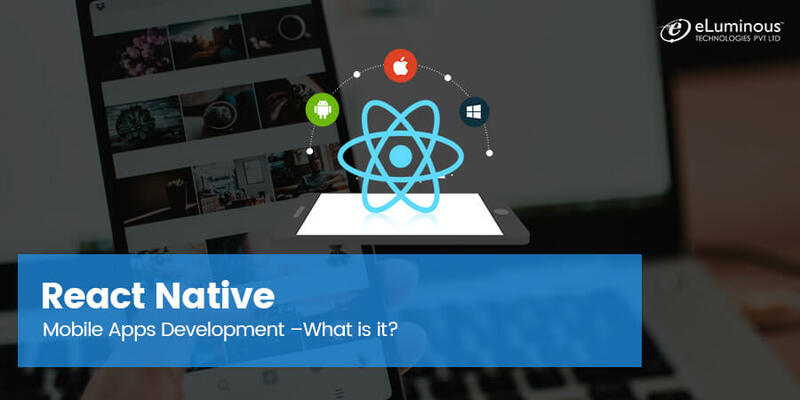 Being a prominent React Native Development Company and having Professional developers, seasoned in the react native technology, the company can deliver cutting-edge solutions for mobile app development in both ios and android. Who is next? Thanks you so much for posting this informative and really nice blog post.